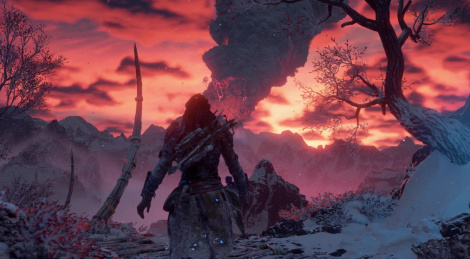 This week will not only see the release of the Xbox One X, it will also please PlayStation 4 owners with The Frozen Wilds, the first DLC for Horizon: Zero Dawn. We have prepared a few videos of the PS4 Pro version, most of which were recorded in 1080p while the game was running in resolution mode. For those wanting to see a bit more, join us tonight in a new livestream at 9:15 CET. So does the dlc takes place after or before the ending? You just need to reach level 30.
hnnng! deformable snow tech! it looks great. Guerilla Games are true tech wizards. God, this game is beautiful. 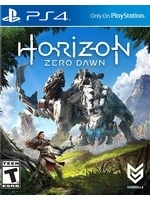 Nice.. Will certainly get this, I really enjoyed the main game..
Looks even better with the new mo cap...Really amazing visuals for an action rpg. I am playing the main game at the moment and I am finding it a bit boring. What part are you up to? I definitely had my highs and lows in the game. It's been a while since I've played it, but I remember the game picking up after you hunt the first Sawtooth or Ravager. I’m sure the one x will keep me busy for a while but I bought this after they announced it so I’m sure I’ll enjoy it on the pro once I get my fix trying out games on the one x. Definitely a fun time to be a gamer! Yeah id say its the best single player game this gen by a long shot. Roll on TLOU2 as i see that being the only game that can topple it. edit: forgot about Red Dead that will be one other game that can do it. It's insane how gorgeous this game looks. Even Naughty Dog had to give props.....then surpass it with The Last of Us 2 trailer. yea I am past that stuff. It's a fun enough game, I am just not finding it all that compelling in gameplay or story. I'll keep going with for now though. Wow, best SP game of the gen... by a long shot?? I feel like I am missing something big with this game. Don't feel too bad if you're finding it a bit of a slog, the game is at its best amidst fighting robots and using weaponry, beyond that it just looks nice. Story-wise I found it to be a nice surprise when everything reaches its crescendo; nothing groundbreaking but definitely not awful. we can't all like great games. i find RDR to be horseshit for example. if you're not liking what you're playing move onto something you do enjoy. I say the Witcher 3 is the best video game this gen. Even the video game parts? Does it have the best game design this generation, or just your favorite waifus?